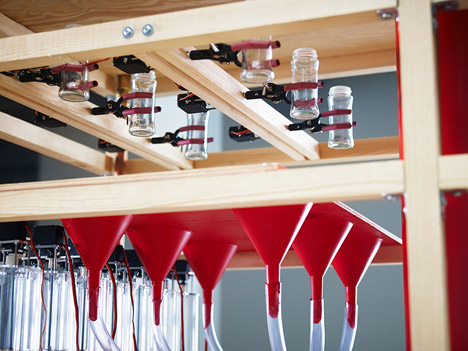 Food Machine by PJADAD cooks recipes prepared by absent chefs #ArtTuesday « Adafruit Industries – Makers, hackers, artists, designers and engineers! 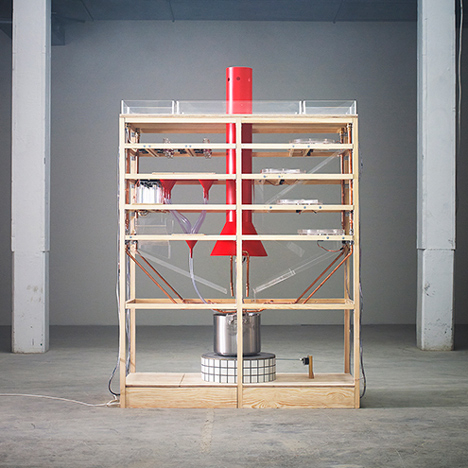 Chefs can collaborate remotely on recipes then get them prepared and cooked by this food machine created by Stockholm studio PJADAD. Developed with designer Christian Isberg, technologist Lasse Korsgaard and chef Carl Berglöf, the Food Machine allows five chefs to cook together from different locations via a digital platform. “The Food Machine is online and you can access it from anywhere in the world,” said Petter Johansson of PJADAD. Using the Collaborative Cooking platform, contributors can remotely control the machine’s six functions including heat, stirring and selection of ingredients. 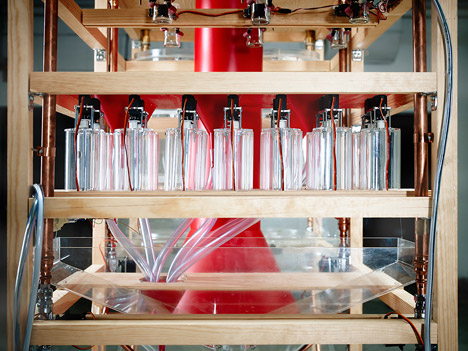 The 35 ingredients stored in the machine were researched and selected by Berglöf. “Choose ingredients and temperatures, flavours and textures, a variety of spices and of course end with salt and pepper,” said Johansson. The machine is linked to the digital platform through an ordinary internet connection. When one of the contributors selects an action, robotic arms and plastic storage wheels move into motion to distribute the food into the pan at the base. Each time an action is performed, it is recorded and printed onto a rolling receipt as a lamp lights up. The method is also saved on a digital archive. This means that the chefs, and anyone else, can follow the process and learn from the experiment. Cooking sessions can last for 10 to 20 hours and result in a dish ready to serve….